The first “Nativity School” was founded at the Mission of the Nativity in Lower Manhattan in 1971 to serve Latino boys from low-income families who were having difficulty succeeding in local high schools. Since then, over 60 autonomous Nativity Schools have opened to pursue similar missions throughout the continental United States. Nativity schools are sponsored by a variety of religious groups, both Catholic and non-Catholic. Nativity Schools continue to open around the country. 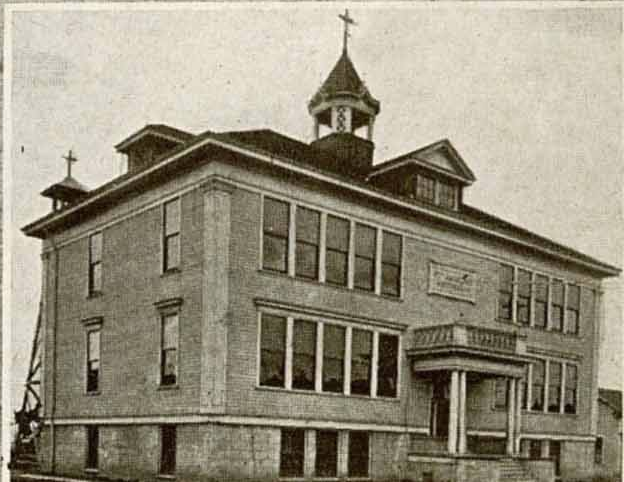 In 1998, parishioners from St. Andrew approached the Oregon Province of the Jesuits and asked them to consider sponsoring a Nativity School in the former St. Andrew parish school. After two years of study, a decision was made to open the school and the support of the Archbishop of Portland and the Superior General of the Jesuits was sought and secured. The school welcomed its first class of 20 students in 2001. The school now serves 79 students and has over 300 graduates. St. Andrew Nativity School is Oregon's only tuition free, private middle school for low income students. Located in NE Portland, just off 9th and Alberta, Nativity School draws students of all faiths from around the Portland area. The Jesuit School provides a challenging education and values centric curriculum. Small class sizes allow for individualized attention to raise students' learning by as much as five grade levels in three years. 96% of Nativity School students go on to graduate from high school and 80% go on to attend college. St. Andrew Nativity school in 1908 when it was an elementary school. It was run by nuns that lived on the top floor of the school, before that part of the school was destroyed in a fire.